Whether you’re a business owner or a blogger, you need a website to reach out to your audience. I’m sure you’re aware that you’ll also need to go with a web host to start building your online presence. A web host is nothing but a company which has web servers with 24/7 connectivity to the internet. To make your website accessible to visitors on the internet, you’ll need to host your website with a web host. You’ll also need to make sure that the hosting solution you’re choosing is reliable, cost-effective and offers you all the functionality you need. Now, with hundreds of web hosting companies offering different types of hosting plans, finding the right company is a challenge. Every company claims to offer the perfect balance between speed, performance, features, support and price. So, how exactly can you choose the best fit for your needs? To find the best web hosting company for your requirements, you’ll need to compare a few companies. By taking a closer look at what each web host has to offer, you’ll have a better idea of which one to go with. Today, I’ll review some of the current best web hosts to help you find the right fit for your needs. 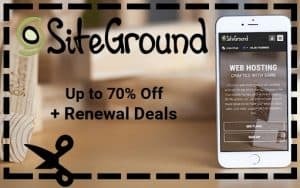 Siteground is one of the most popular web hosts in the market currently which offers an impressive breadth of services. 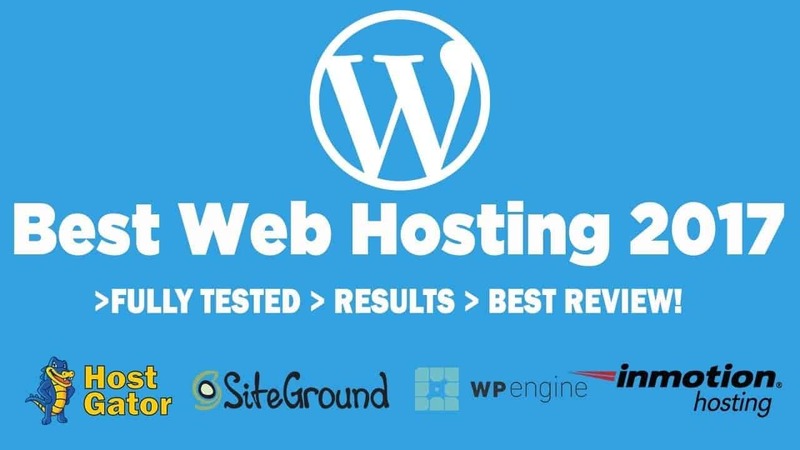 Siteground is considered as an innovator in web hosting, primarily because of their custom solutions and excellent customer support. This web host is recommended for hosting WordPress websites, blogs and small business websites. In fact, even the official WordPress team recommends Siteground for hosting because they offer a free SSL Certificate and PHP7. The company is involved in Drupal, WordPress and Joomla marketing events, making them a company which is loved by developers. Siteground is also one of the fastest growing web hosting companies worldwide. It manages thousands of web servers across three countries worldwide and hosts more than a quarter of a million domains. Their plans start from $3.95 per month. Over the last 30 days, Siteground exhibited an incredible uptime of 99.99%. I love Siteground because of its amazing features and user friendliness. First of all, it is incredibly easy to setup or migrate a website to their platform. They offer multiple in-house solutions including shared hosting, cloud hosting, dedicated hosting and WordPress hosting among others. They also have a well thought out chat and ticketing system to facilitate customer support. While this web host may be touted as one of the best in the market, it does exhibit some drawbacks. Their hosting plans offer limited bandwidth and storage and there are no shared month-to-month hosting plans. Also, there is no option for Windows-based servers, which may be a problem for some users. All in all, Siteground offers plenty in terms of features, functions and security. They also offer helpful customer service and plenty of tutorials to help users get started with web hosting. It is a great option for new webmasters and small business websites. WP-Engine is a unique web hosting company which focuses only on managed WordPress hosting. This web hosting company provides secure, scalable and reliable high-performance hosting and also offers plenty of added features. 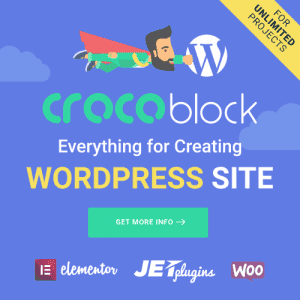 The only reason why WP-Engine cannot be used by everyone is that it only supports WordPress websites. Otherwise, WP-Engine is suitable for beginners as well as advanced WordPress web developers both. WP-Engine is currently responsible for managing hundreds of thousands of WordPress websites worldwide. While their plans may seem a little pricey – starting at $19.33 per month, the added features definitely make it worth the price. WP-Engine exhibited a great uptime of 99.95% over the last 30 days. WP-Engine is widely considered to be one of the fastest web hosts for WordPress websites. It also offers the ultimate in scalability, security, reliability and ease of use. WP-Engine supports PHP and Linux and also comes with built-in firewall protection and malware scanning. Moreover, it offers daily backups and unlimited monthly transfers as well. This web host also includes a range of amazing development tools and they offer a genuine uptime guarantee as well. While this web host seems to offer everything, it does suffer from a few problems. They offer small traffic allotment and limited storage options, making it problematic for hosting large websites. Also, there is no email functionality and this web host does not sell any domain names. WP-Engine may offer good customer support, but their interface lacks web chat support. I must mention that their phone support is great though. To sum it up, WP-Engine may be a great web option for WordPress websites. However, this web host is a little pricey and offers only basic functionality. Nevertheless, it is a very useful solution and it does what it needs to in a reliable and effective manner. DreamHost is a leader in offering cloud computing and high-quality website hosting services. This company boasts of having best in class infrastructure, reliable customer support and superb managed services. While it is an excellent hosting solution, it is more suitable for advanced developers and may not be suitable for beginners. In terms of features and functionality, DreamHost is second to none. They offer an unmatched 100% uptime guarantee and they are incredibly committed to customers and the community both. They offer expert support, managed services, object storage and various cloud storage plans as well. In fact, many users have said that DreamHost offers exemplary tech support and customer support. This web host comes with plenty of security features, lots of domain management tools and an excellent VPS offering. Moreover, DreamHost also offers unlimited data transfers every month. DreamHost supports MySQL, PHP, CGI Access, Perl, Shared SSL and Ruby on Rails, making it one of the most complete, all-round hosting solutions today. The only gripe that some people may have is the lack of site building tools and lack of Windows-based servers. Unless a user has access to site building tools, or has a website ready to be migrated, Dreamhost can be intimidating. While this web host offers the perfect balance of price and functionality, it is best suited for people familiar with web administration. Also, DreamHost may be a pricey option for first time site owners, with plans starting from $7.95 per month. However, aficionados should easily recognize the tremendous value that this robust platform has to offer. And, they do offer a genuine money-back guarantee, so you can always try them out if you want to. GreenGeeks is probably the most unique web hosting company out there today. This is because this company offers green energy web hosting services. In other words, the hosting services offered by this company are completely powered by renewable energy. This company is certified by the BEF (Bonneville Environmental Foundation). Now, don’t let the green energy tag scare you – GreenGeeks is a powerful, scalable and reliable hosting solution. Moreover, this company is as committed to customers as it is to protecting the environment. GreenGeeks currently hosts more than 300,000 domains with data centers located in Canada and the US. Some reasons to love GreenGeeks is their incredible uptime guarantee of 99.95% and their quick and helpful support. Moreover, they offer WordPress integration, unlimited databases, unlimited traffic and free backups every night. They even offer a free domain name, website migration and a 30-day money back guarantee. Also, activation of a website on GreenGeeks is very quick and efficient. This makes them a great choice if you’re in a hurry to get your site up and running straight away. While GreenGeeks certainly offers a lot in terms of features and functionality, it does suffer from some drawbacks. This web host is exclusively based on a Unix/Linux environment and lacks Windows-based hosting. Also, they offer only a single type of shared hosting package which cannot be upgraded. In case you host your website with them and your traffic spikes, you might run into a few problems. GreenGeeks does exhibit a slightly below average page loading time as compared to other web hosts. Also, their plan costs $9.95 per month unless you’re willing to opt for a 3-year subscription at $3.95 per month. While this is certainly not the cheapest price in the market, it is a good choice if you want a zero-carbon footprint. a2Hosting may not be as famous as other popular web hosts, but it is still a wonderful hosting option. They have been around since 2001 and they have data centers located in Michigan, Amsterdam and Singapore. This company is known for its robust web hosting packages, their excellent customer support and their uptime guarantee. 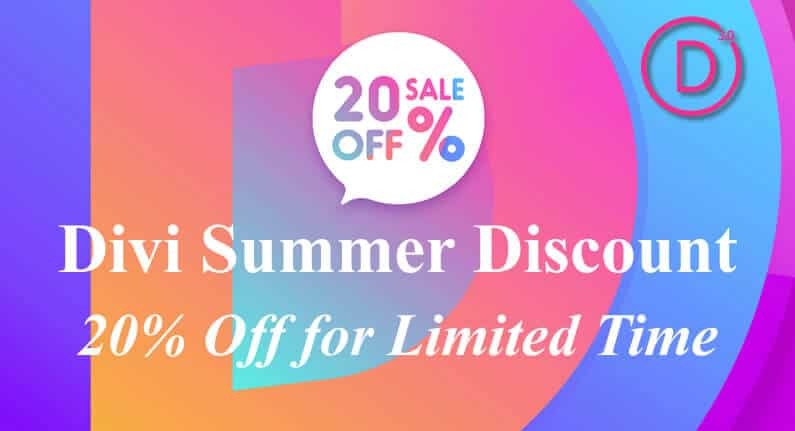 This web hosting company is known for offering incredibly fast hosting speeds – up to 20x faster than other popular hosts. Moreover, they also claim to offer extremely helpful 24/7 customer support and promise an incredible uptime of 99.99%. They also allow free site migrations and have a number of preventive measures to keep your website safe from hackers. In terms of functionality and features, a2Hosting is second to no other web hosting company. a2Hosting also offers free solid-state drives and WordPress integration. Currently, a2Hosting is responsible for managing over 100,000 websites all over the world. It is a powerful and reliable web host and is also easy to setup and use. In fact, most people who have hosted their websites on the a2Hosting claim it to be an outstanding service. While a2Hosting works with most CMS, their hosting is slightly more expensive than other web hosts. To avail their shared hosting at $3.92 per month, you’ll need to subscribe for 2 years. The cheaper plans also have some restrictions. Also, not every plan that they offer has Windows-based server option. They do offer a 30-day money back guarantee though if you are not satisfied by their service. All in all, a2Hosting is a wonderful option for those who want the best performance from a web host. HostGator is a well-known name and one of the largest service providers in the web hosting industry. They offer dedicated web hosting, VPS web hosting and plenty of features and functionality. HostGator is a great hosting option for seasoned developers and for people hosting multiple websites. However, getting used to their interface may take a bit of time, especially if you’re not an advanced web developer. There are many reasons why HostGator is a top choice. They offer an array of hosting options, a range of freebies and an uptime guarantee of 99.9%. Whether you want a dedicated hosting or shared hosting, HostGator offers it all. Moreover, this web host has an intuitive and extremely easy to use control panel. It comes with built-in Weebly site building software, which is extremely useful. HostGator is responsible for hosting over 950,000 websites all over the world currently. They also offer amazing 24/7 technical support, unlimited emails and traffic and complete WordPress integration. While HostGator seems to be perfect in all aspects, it does suffer from some drawbacks. First of all, there is no Windows-based VPS hosting offered, which may be a problem for some users. Secondly, importing a WordPress website takes longer as there is no “one-step” import process which many other web hosts offer. Finally, the email security offered by HostGator could have included an added layer of security. HostGator offers limitless options, excellent functionality and it is also a very affordable hosting solution. Their plans start upwards of just $3.48 per month. With unlimited disk space, 24/7/365 support and a 45-day money back guarantee, HostGator is one of the best web hosting companies out there. Use Code Darrel99 Or Darrelwp25 at checkout For 1 cent hosting or 25% off hosting plan! While there are many other web hosting companies to choose from, these are arguably the most recommended across the internet. Whether you want to transfer your website or build a new website, all these hosting solutions are a wonderful option. Sure, you may have heard of other popular web hosts, but these web hosts perhaps offer the best value for money. The majority of hosting plans can be categorized into five main types: Shared, VPS, Cloud, Dedicated, and Reseller. Shared hosting is a common and very popular hosting plan with most people . This means you're also sharing resources like memory and bandwidth. A good example of shared hosting is like an apartment complex. You do not own the complex, yet people live there and the property manager handles their apartment problems. There is a good example of shared hosting. If you have a problem with your website or something isnt working with your website, the hosting company will help you take care of your wordpress issues. If you want more power than shared hosting, VPS is the way to go. This stands for virtual private server (VPS) hosting and will grant you great performance without the hassle of a fully priced of a dedicated server. VPS hosting can give you better hosting performance, because less website sare going to be using the server. This option grants full control on your hosting server. The VPS is a great way to host your business websites. It is. If you have special accommodations than this is a great resource to help your business with hosting. Cloud hosting is close to the VPS hosting because the webserver is not a physical machine. The cloud hosting is sent to over various computers. Cloud hosting is more stable and reliable than VPS. For example, if your site is lagging due to low bandwidth, you can than just increase it and BAM, your site has more bandwidth now. This same principle apples to CPU-Usage and memory as well. Cloud hosting is becoming more and more of the industry standard for most business. Cloud hosting is a great resource to use. The fact that you have the power over your own server is great and most people would prefer cloud hosting than VPS for their business. Imagine getting your own server for your business? Well the dedicated server option is just that. You have full control over the server and the great part is the hosting company will manage it for you so you dont have to spend time dealing with hosting issues and you can focus more on your business. Imagine you want to start your own little web hosting business or you want full control over your clients domains and hosting. This is what the reseller package does. You can virtually start your own hostgator or dreamhost company with this feature. You gain clients and decide what kind of bandwidfth or memory you want them to have for their server. Every website has a different use. It really depends on the website and also the website project at hand. I dont really use java too much but many people do. Here are some other hosting plans that some people still use for their business. WordPress Hosting. Why is WordPress Hosting Better? It was a nice post dude! but I want to know your views about GoDaddy? I currently use it on my website and I get traffic close to 500-1000 per month. Should I keep using the same or migrate to Site ground?